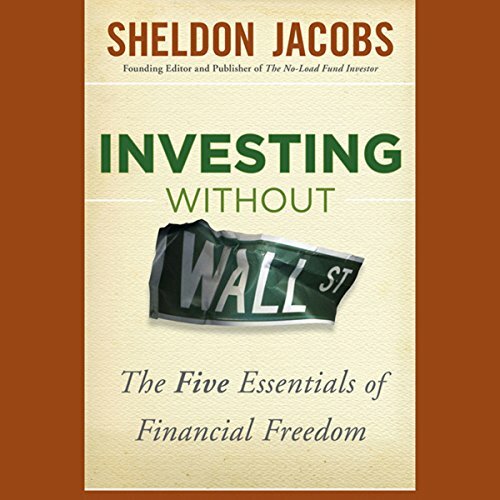 In July of 1993, Sheldon Jacobs was one of five nationally recognized mutual fund advisors chosen by the New York Times for a mutual fund portfolio competition. The portfolio that he selected produced the highest return of all contestants for almost seven years, and the Times' quarterly publication of this contest helped him become one of the best-known mutual fund advisors in America. Investing Without Wall Street shows investors how to achieve the greatest wealth with the least effort. It details the five essentials that even a kid could master and shows that they are all you need to be a successful investor. With this knowledge, the average investor can invest on his or her own and make $252,000 more than a person investing the same way who shares his or her profits with professionals. This book will teach you how. ©2012 Sheldon Jacobs (P)2012 Audible, Inc.